Last edited by Marie on Thu Feb 21, 2019 11:36 am, edited 1 time in total. "The biggest mistake of my life was voting for Donald Trump. 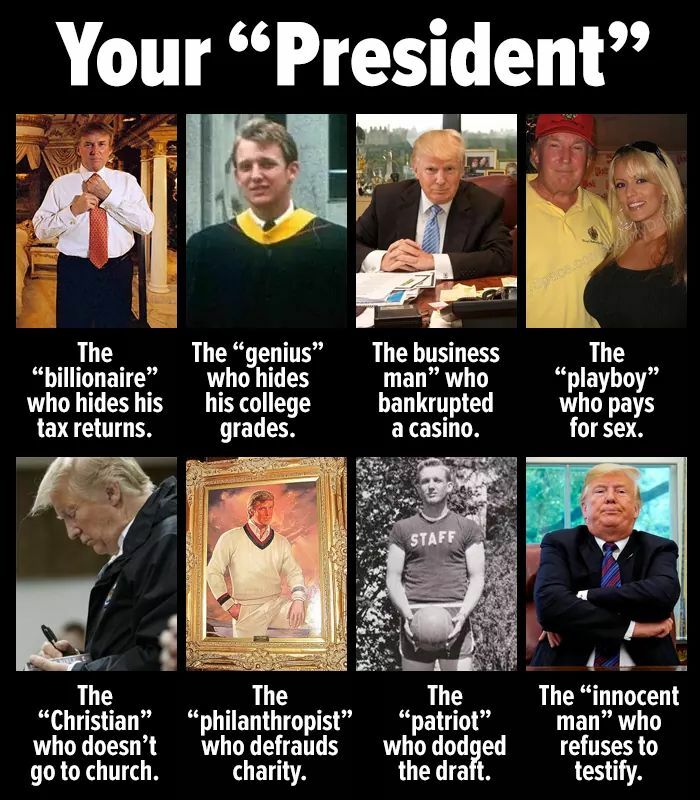 The damage he's done to our country will take years to repair. I don't give a damn how we get him out of office, but he's got to go." 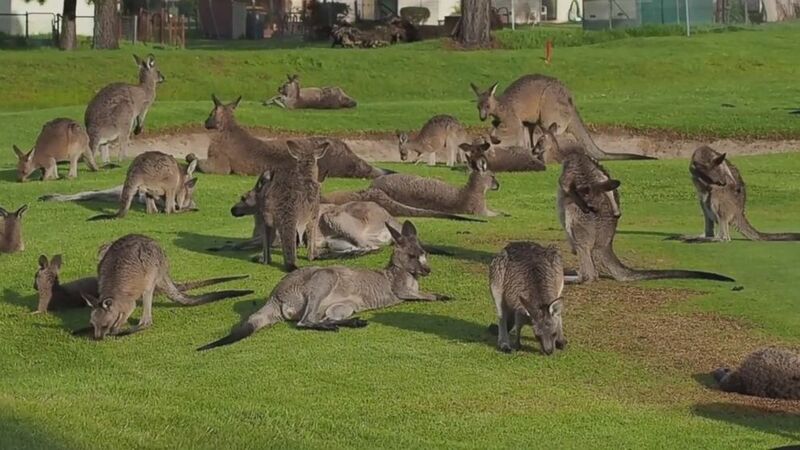 Kangaroo mobs create hazards on golf courses! 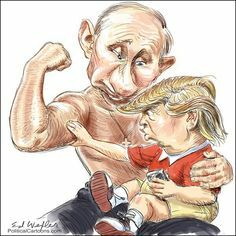 Trump, the trash talking toddler, throws tabloid-type twitter tantrums & temperamental teleprompter tirades telling tall tales & touting tyranny, treason & torture to threaten totalitarianism through theatrics & then the thoughtless trolls take the trumpery & turn to terrorism. I just saw where the makers of Cheetos are encouraging you to take a picture of what some Cheetos make you think of and post the photos online. Seems to me they're just asking for trouble with this! 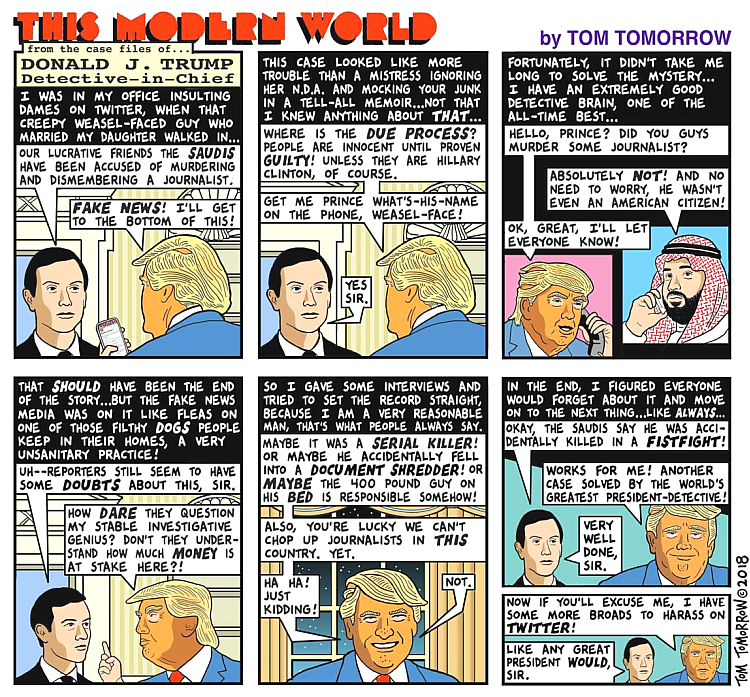 This is a joke about how stupid Trump is. A long time ago, when Trump & Michael Cohen were still friends, they decided to charter a boat and go fishing for big game off Key West. It's the first time for both of them so they're waiting for instructions from the captain. Eventually the boat reaches the right spot out in the gulf, and the captain says, "Okay, you can throw your chum in the water now." 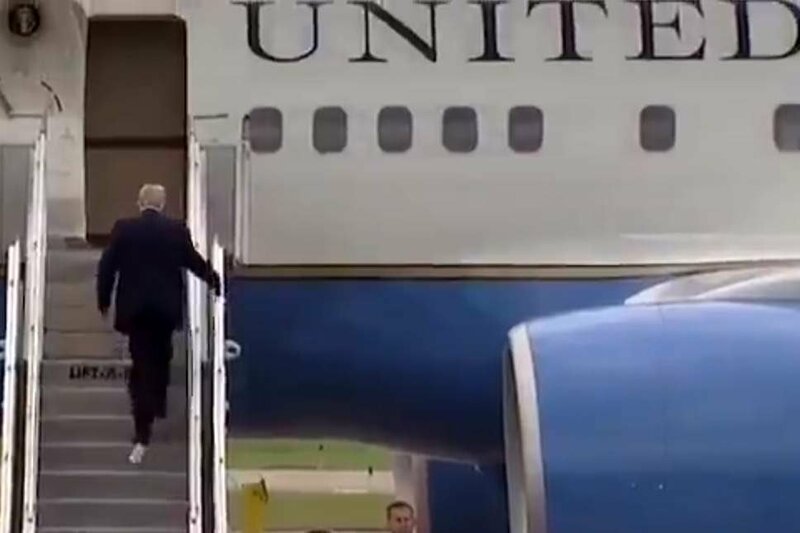 So Trump throws Cohen over the side. ~I mean I'm not huge into politics, but was the government not just shut down under Trump admin? ~Right, and he did it to negotiate border money. They offered him $35billion last year but he is the deal maker, got them down to $1.35 Billion. Boo yah! Take that you non believers! !